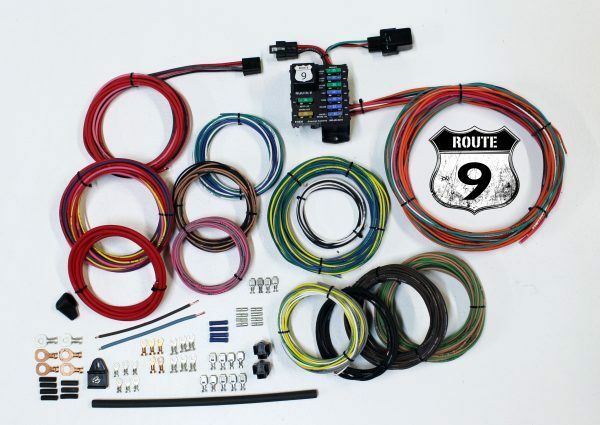 The Route 9 Universal Wiring System is designed for builders requiring basic electrical system functionality. Taking the design cues from the Highway 22 and Highway 15 kits, American Autowire has developed an entry-level kit that provides a complete vehicle electrical solution in a compact, “bulletproof” package. This is the perfect wiring solution for hot rods, rat rods, or any vehicle requiring a basic, full-function electrical system. Complete, full-color instructions are included with each kit to “Make Wiring THAT Easy”. Important features of the kit include.